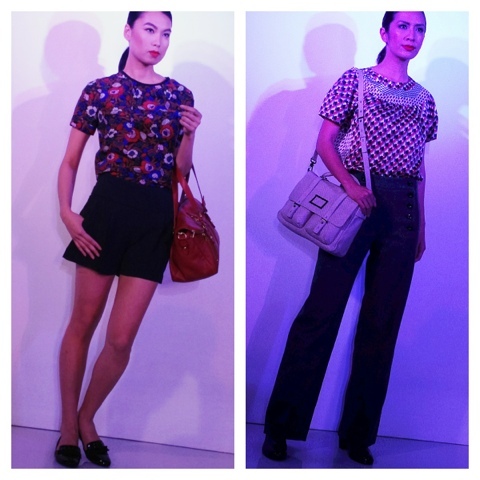 last thursday, there was a mini fashion show at greenbelt 5 presenting marc by marc jacobs' fall 2012 collection. here are some key pieces to expect when the clothes hit the stores later this month. 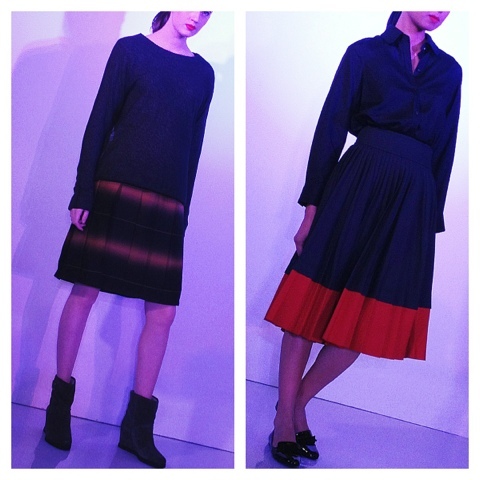 loose-fitting dresses. perfect for those days when you know you're going to eat a lot! classic top-and-skirt combo that can look school marm-ish if styled wrongly. but hey it's marc jacobs! oh and here's what i wore! 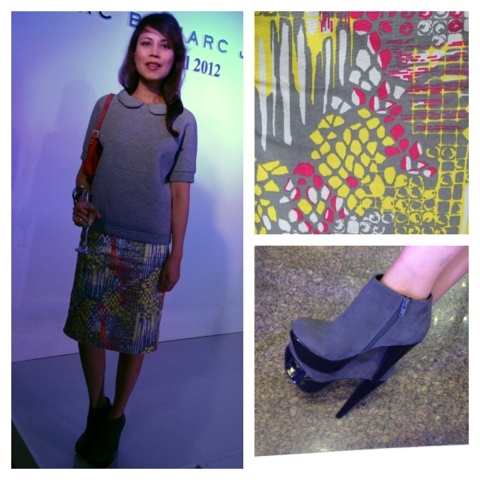 H&M sweatshirt top, COS skirt, rusty lopez booties, fendi bag.